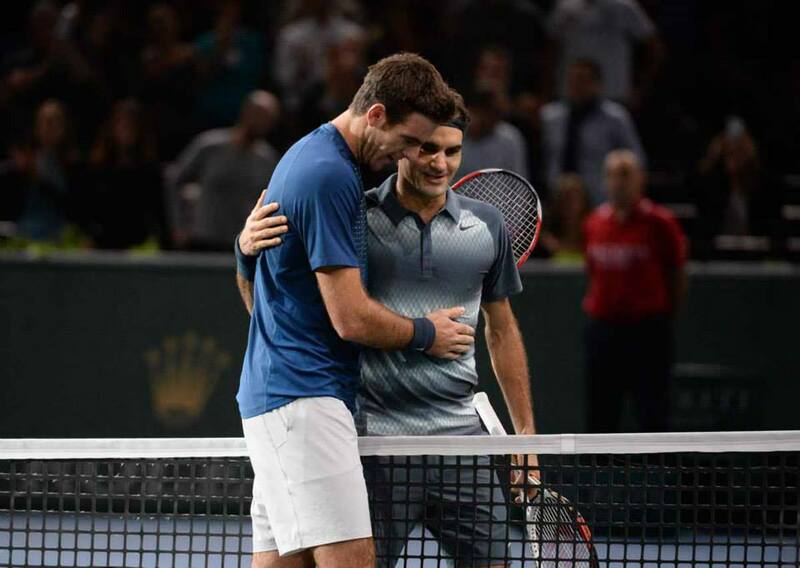 Five days after facing off at the Swiss Indoors final in Basel, Roger Federer and Juan Martin Del Potro met again in the quarterfinals of the Paris masters. Similar to Sunday, they went the distance. Unlike it however, was Federer coming out on top. The Swiss maestro stepped up his game in a big way as he pushes to finish strong in 2013. Different looks was the game plan from the start, and rather than sticking to topspin backhands, Federer used a considerable amount of slice against the tall Argentine, which proved to be one of the keys to his victory. Unable to put himself in an offensive position, Del Potro was flustered in the first set as Federer took advantage of his break chances. He would go 4/6 for the match, as well as winning 17 of 20 points at net. Although his level was high, a minor dip in aggression made room for Del Potro to take a few big swings on his forehand wing, breaking the Swiss as he was serving to stay in the second set. The final set brought three consecutive breaks midway through, but it was Federer who earned two of those, and this time, his momentum lead to a fourth break of the match, securing his semifinal berth with a 6-3 4-6 6-3 victory in 1 hour 43 minutes. Federer will face Djokovic in Saturday’s semifinal, not before 2:30pm local time in Paris (9:30am EDT/6:30am PDT). Interview (via ATP World Tour). See the full 2013 Paris masters draw here. Check out Roger Federer’s Nike outfit here. Watch full coverage of the Paris masters on FF07tv.